This sushi shop fetches its fish every day from the Himi Port, and from November to February, its Japanese amberjack is absolutely heavenly. The sushi toppings are thick, and feel exceptionally filling. 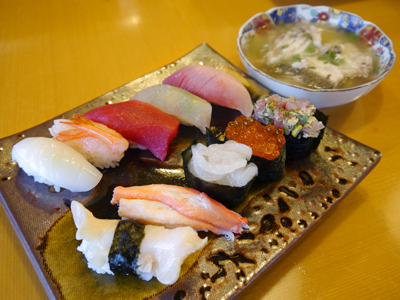 We also recommend the "Daimyo Roll," featuring 8 different kinds of shellfish! This shop stays open until late at night, so you can happily drop by even after a few drinks!